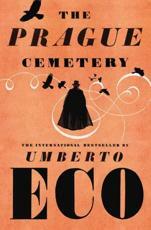 Umberto Eco on Interpretation - Philosophy and Literature 16 (1992): 432-37. 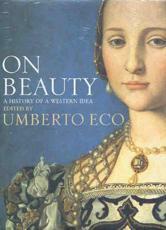 Interpretation and Overinterpretation (Cambridge University Press, $39.95 hardbound, $11.95 paper) presents three lectures by Umberto Eco, with responses by Richard Rorty, Jonathan Culler, and Christine Brooke-Rose, a final rejoinder by Eco, and a general introduction by Stefan Collini. The occasion was the Clare Hall Tanner Lectures, and they apparently packed out one of the biggest auditoriums at Cambridge University in 1990. There was more debate, including Frank Kermode, Malcolm Bradbury, and David Lodge, than is included here, and one imagines it was an exciting occasion. 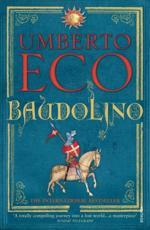 Eco begins be identifying what he calls the hermetic tradition in interpretation. The Caliph who ordered the burning of the Library at Alexandria, he says, did so because he knew the truth of the Koran, but it’s different with second-century hermeticism, which searches for a truth it does not know. Since the books in which it hopes to find the truth contradict each other, truth will be seen mysteriously to reveal itself in allusion and allegory. “Secret knowledge,” he says, “is deep knowledge” for the hermeticist: truth must be probed for beneath the surface of the text. The Heideggerian overtones are not lost on Eco: “The gods speak (today we would say: the Being is speaking) through hieroglyphic and enigmatic messages.” We have been living with knowledge since the beginning of time, but we have forgotten it. The result of the hermetic outlook is that “interpretation is indefinite,” and that we must accept “a never-ending drift or sliding of meaning.” On the one hand all phenomena become linguistic, while on the other language itself loses its communicative ability. Every revelation yields to yet another secret, ad infinitum. There would be no final secret, it might be said, were it not for hermeticism’s cousin, gnosticism, who much enjoys a good secret, or at least acts like there is one. This is a gnostic power play, familiar to Marxists (mentioned by Eco) and the deconstructionists (whom he politely ignores): whatever is mysterious (the dialectic of history, the myth of presence, you name it) and cloaked in jargon, must be very important, indeed essential. Best of all, only initiates can understand it. 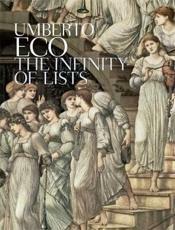 Eco then summarizes the main tenets of contemporary hermeticism: infinite interconnections of an open-ended text/universe; no pre-existing meaning for language to grasp; being-in-the-world nothing more than our inability to find transcendental meaning; any text pretending to assert something univocal “the work of a muddle-headed Demiurge”; every line of text conceals another secret (suppressed, etc.) meaning; words don’t say, they hide; the “Real Reader is the one who understands that the secret of a text is its emptiness.” Eco courteously calls this “a caricature” of radical reader-response theories, but it seems pretty accurate to me. His counter-attack begins by asking if there isn’t something out there someplace that might limit interpretation. He takes a 1641 text about an American Indian slave who is called upon to deliver a basket of thirty figs. After bending his interpretation and suggesting the sorts of complications on how this text might be construed, Eco concludes that there remains a final, un-get-aroundable, bedrock fact: the story says that there was once a basket of figs: “No reader-oriented theory can avoid such a constraint.” There is something — a text — that must be respected. "Overinterpreting Texts,” Eco’s second lecture, starts off with a table of mnemonic devices, taken from a sixteenth-century self-help book on how to improve your memory. This turns out to give a convenient summary of the ways words and ideas can be similar to on another, or can more generally be connected to each other. Think hard enough about it, and anything can be connected to anything else — an underlying principle of hermetic semiosis: “from a certain point of view everything bears relationships of analogy, contiguity, and similarity to everything else.” This is true of everyday thinking as well, but it is a mark of sanity to be able to distinguish relevant significant similarities from illusory ones. Obsessive, paranoiac interpretations founder with this very distinction — they overestimate clues and coincidences. For hermeticism in the Renaissance “signatures” and analogies were clues to occult relationships, found, for instance, in the morphological resemblances and analogies that tie the shape of a flower (looks like testicles) to its medicinal properties (increases potency). Eco’s theme is that there are limits we place on any interpretation, though they aren’t found by trying to determine the intentions of a specific empirical author. He prefers to speak of a text’s intention, or a model author “that I am able to recognize in terms of textual strategy.” Thus no deconstructionist reads with a sexual connotation a line of Wordsworth about a “gay” poet. To acknowledge this point “means to interact with a cultural and social treasury,” one which includes, presumably, the history of the English language and the changes it has undergone. Simple enough; the complexities are brought out in Eco’s discussion of Foucault’s Pendulum and readings that might be given to some ambiguous passages and elements. There is no special pleading, of course, just a fascinating discussion of interpretive problems from the standpoint of one — dismissable — empirical author. Richard Rorty’s response is so very well honed; like Eco, he’s been at this for a long time. He explains straight off that he had read Foucault’s Pendulum as an anti-essentialist satire which made fun of the way scholars and scientists suppose they can peel away the surface of things to reveal a true, underlying nature. That he was wrong just shows he’s right: having imagined that Eco had abandoned his search for “the code of codes,” he’s like every other obsessive whose reading is just a reflection of his own preoccupations. The idea that a text could really be about something, that it might tell us something deep about human nature, or the nature of anything whatsoever, “is as bad as the Aristotelian idea that there is something which a substance really, intrinsically, is as opposed to what it only apparently or accidentally or relationally is.” For Rorty, this is just more occultism, and if-as I think it ought-substance is defined as that which is capable of independent existence, it isn’t surprising to see him allude to Aristotle at this point: Eco for his part does certainly regard the text as an independent entity, with its own intentions and integrity, and he insists on a distinction between interpreting texts and using them. Eco, it seems to Rorty, buys into all sorts of doubtful dualisms, including most importantly here the Kantian distinction between something’s having a value and having dignity. It’s persons who have dignity, and within Eco’s notion of criticism, texts are honorary persons, to be treated with respect rather than merely used. Rorty dismisses this as a pointless distinction, like so many of the others in the history of philosophy. Still, he offers one of his own: the distinction between using a text for your own purposes, and using it in order to change your purposes-using it to get what you want or to change what you want. The former produces methodical readings of texts, the latter inspired readings-readings of love (or hate) and passion. Rorty’s general stance is sharpened by a little story he tells, his own march toward Enlightenment, “The Pragmatist’s Progress,” as he calls it. This “semi-autobiographical” narrative doesn’t, naturally, describe the road to Enlightenment, but rather the meanderings that led him to his present pragmatism. (There’s no law against his referring to himself as a “pragmatist,” but let’s not forget that John Dewey, on whose knee he sat-as a child, literally, I believe-would deeply object to a lot of what he says.) It begins when the Seeker after Enlightenment realizes that all the great dualisms of Western Philosophy “can be dispensed with.” Not synthesized or overcome, just forgotten. Early on the Seeker is attracted to Nietzsche’s view that truth and suchlike are just metaphors for dreams of total power. A later, more advanced state is reached when Thus Spake Zarathustra just induces giggles. The “final stage” comes when it’s realized that there was no development in this business at all, that the road to Enlightenment was nothing more than “the contingent results of encounters with various books which happened to fall into one’s hands.” How, I wonder, does Rorty or anyone know when the “final stage” has been reached? How about: the really final stage is reached when the Seeker returns to J.S. Mill and nineteenth-century meliorism. Or, the absolutely final stage is reached when the Seeker becomes a Mormon. In remarking this, Culler is saying out loud what many people feel. But if, like me, you feel vaguely uncomfortable about Rorty commandeering “pragmatist” as a self-description, seeing Fish described as one here is offensive. If he’s a pragmatist, then so is Thrasymachus. Maybe Rorty would allow even this, in that exasperatingly sweet, reasonable tone of his. Attempting to speak as a reader, rather than author, Eco insists that Rorty has focused on the against-interpretation aspects of Foucault’s Pendulum, while ignoring the anti-excess-interpretation elements. Eco doesn’t insist he is right, but he does think that the text itself, and not just their desires to prove their positions correct, constrains their debate. Anyway, Eco notes that Rorty’s discussion of the novel is so full of excuses (“I decided to read,” “The grid I impose on any book,” etc. ), that it betrays a sense that when he interpreted the book Rorty was well aware not only that other readings were possible, but that he knew which ones. Here, it seems to me, we stumble on another of those persistent dualisms Rorty prefers to forget about. Or maybe not. It’s not a way of dividing reality, but of distinguishing the temperaments of philosophers. 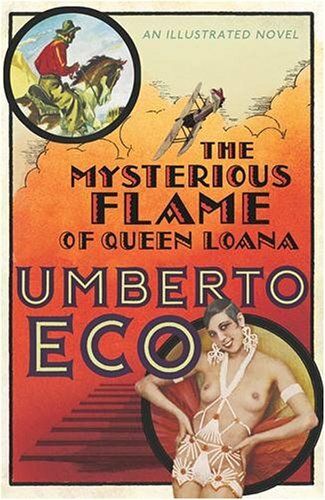 If anything marks the personality and writing of Umberto Eco, it is an insatiable curiosity, love, and sense of wonder about the world. He’s having a good time, to be sure, but good times aren’t the point. It’s rather that the world itself — in all its intractable, intricate, deliciously ambiguous, quotidian reality — is to Eco so astonishingly rich. It’s there on every page: this man is mad to know about things, not as a projection of his needs or wants, but as having their own intrinsic interest, indeed dignity. Kant was like that, come to think of it, and Aristotle too. In contrast, the Rorty I find as model author of this text, taking his random walk through life, tossed this way and that depending on the books he’s most recently come across, seems such a tepid character. He position is consummately worked out, but it seems so boringly inward-directed, with every book a mirror, instead of a window. Again, the insistence that this is “pragmatism” is off-putting to me precisely because Umberto Eco, in his ebullient thirst to know, seems so much more like John Dewey than Richard Rorty (or Stanley Fish, for heaven’s sake). Maybe this reduces everything too easily to a question of psychological temperament, and inadvertently verifies Rorty’s suspicions about philosophical debates. But among the many values of this book is that it manages so well to record the encounter of two opposed positions in philosophy which involve, arguments aside, two opposed personalities. The courtesy the contributors show one another does not obstruct — as it often does on public occasions — an understanding of what keeps these thinkers apart. Interpretation and Overinterpretation is an excellent book, one of most valuable contributions to literary theory of recent years. Copyright © 1992 Johns Hopkins University Press. All rights reserved.